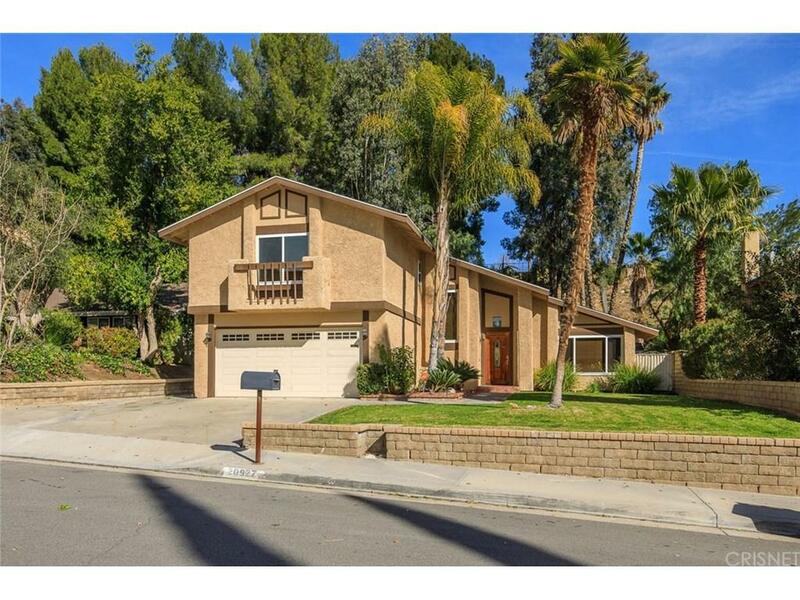 Spectacular 4 bedroom 2.5 bath Saugus POOL HOME on a quiet, tree lined street with over 2000+ sq ft of living space! The formal entry welcomes you to the spacious living room and dining room complete with brick hearth fireplace, vaulted ceiling, oversized windows and a breathtaking view of your beautiful backyard! 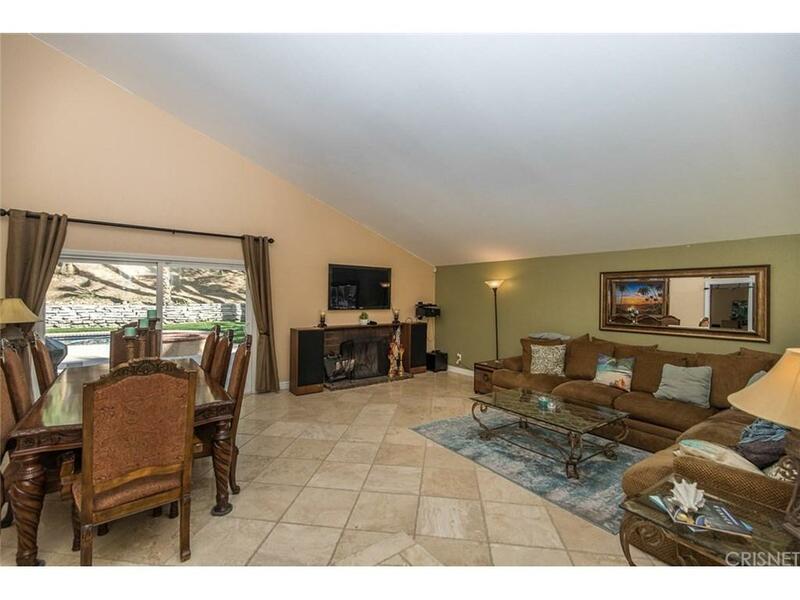 This turn key home boasts a huge backyard complete with pebble tec pool and spa, spacious patio, fire pit, large side yard and plenty of grass and space for kids or pets to play!! The beautifully remodeled kitchen is complete with beveled granite, espresso cabinets, recessed lighting, plenty of counter space and opens to a cozy family room! The entire home is light & bright with neutral colors that allow even the pickiest buyers to move right in! The 4 spacious upstairs bedrooms are incredibly private and offer plenty of natural light! Newer dual-paned windows, tankless water heater, newer A/C and copper plumbing are just a few of the upgrades to appreciate. Minutes from award winning schools, grassy parks, hiking trails, local shopping and superb restaurants! 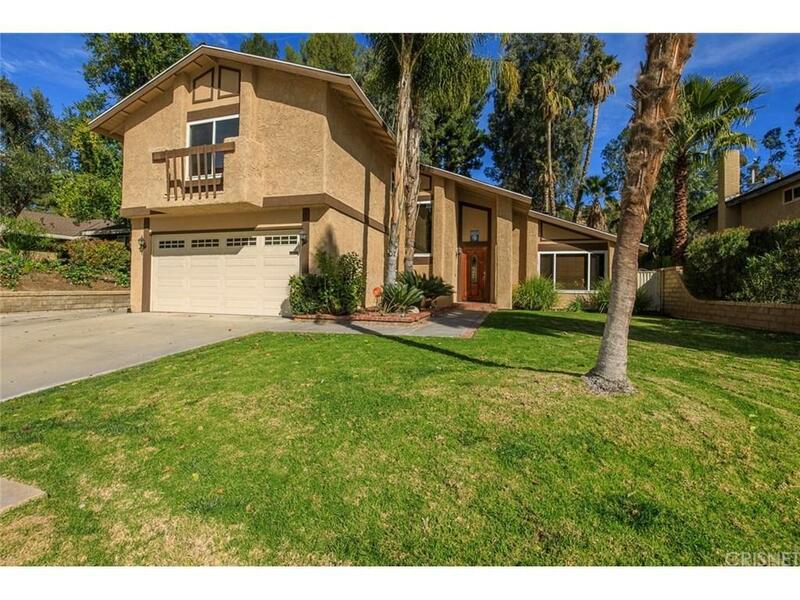 Excellent freeway access to the 5 and 14 from Copperhill and Golden Valley! No HOA and No Mello Roos! 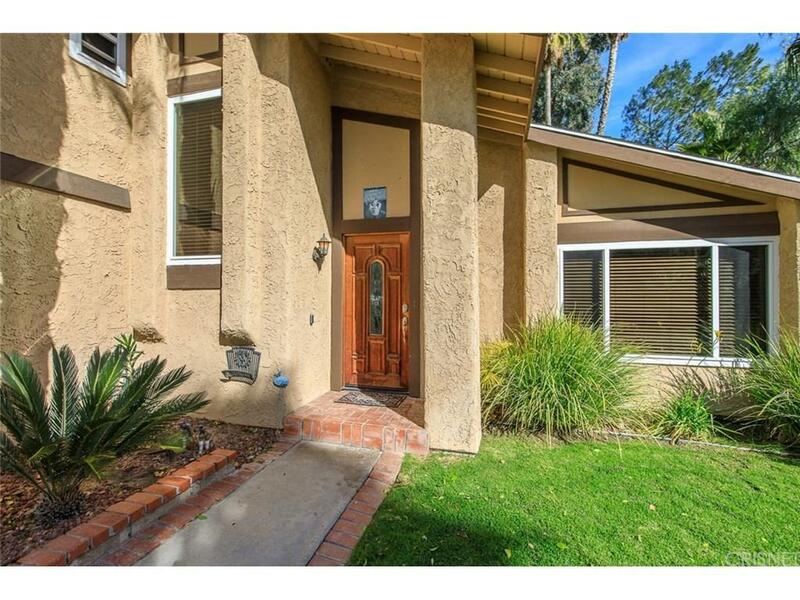 Sold by Cyndi Lesinski BRE#01357740 of Johnhart Real Estate.